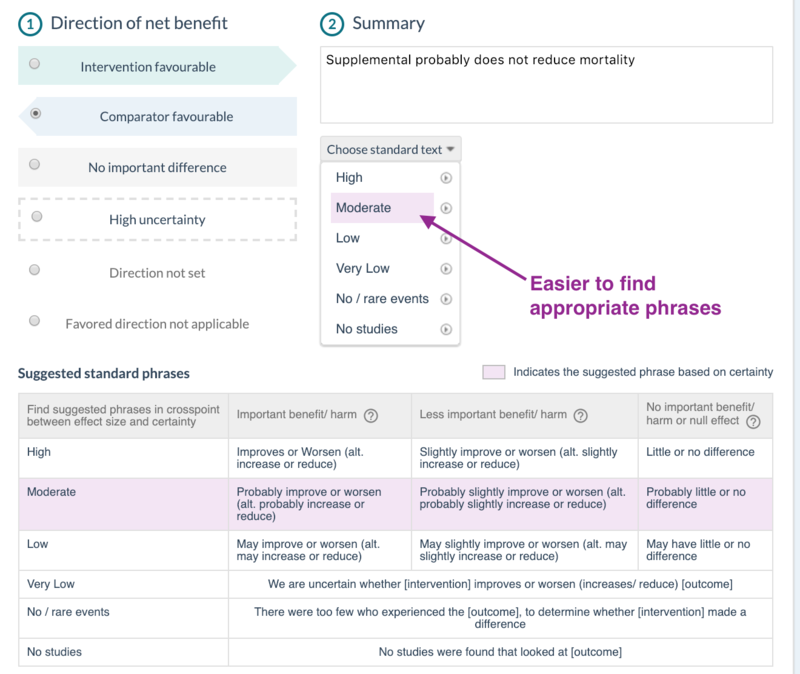 Authors can now choose to expand the Key information factors to include the Equity, Acceptability and Feasibility - factors from the Evidence to Decision framework. 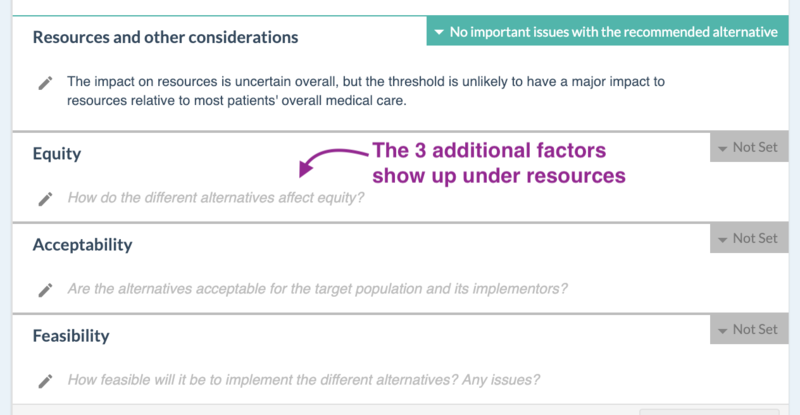 Guideline administrators can chose to set the inclusion of these factors as a default for all new recommendations. The same rule applies to the new factors as with the previous: If you don't write anything in the box, it will not show to the reader. You can flip between the two options without loosing content. If you have written text in any of the three extra factors, and then swap back to only showing 4 factors, your text is merely hidden, and will appear if you swap back to showing 7 factors. 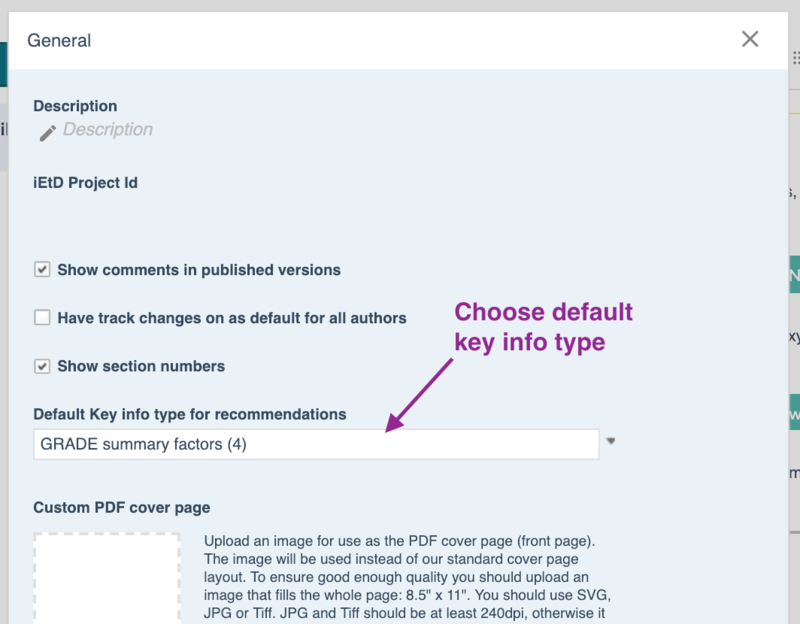 The type that is chosen when you publish a guideline, will be what the users get to read. That means that you can use all the 7 factors during development, but set it to only 4 summary factors for publication, then readers only see 4 factors even if you have text in all 7. 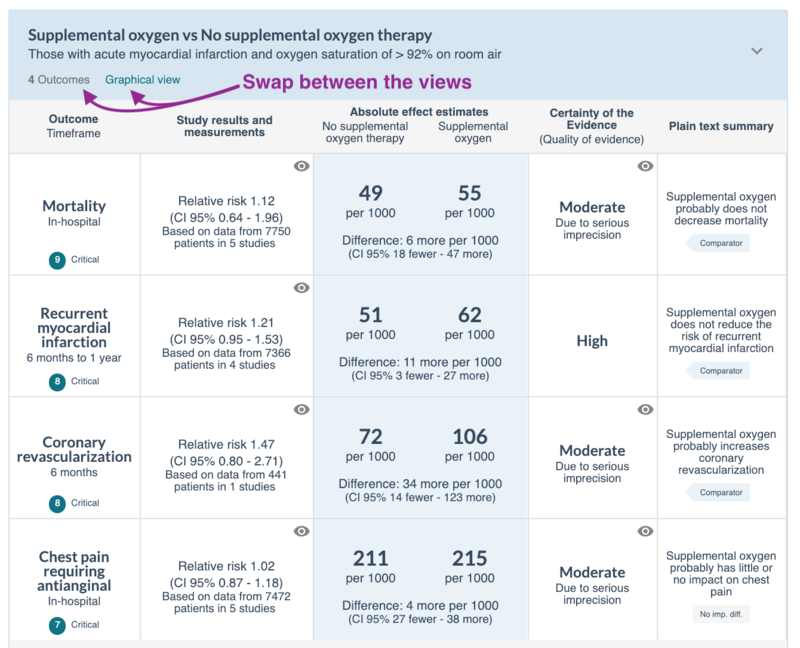 In developing our Rapid Recommendations in collaboration with the BMJ, we have worked with infographics to try to improve the communication of evidence and direction of effects. 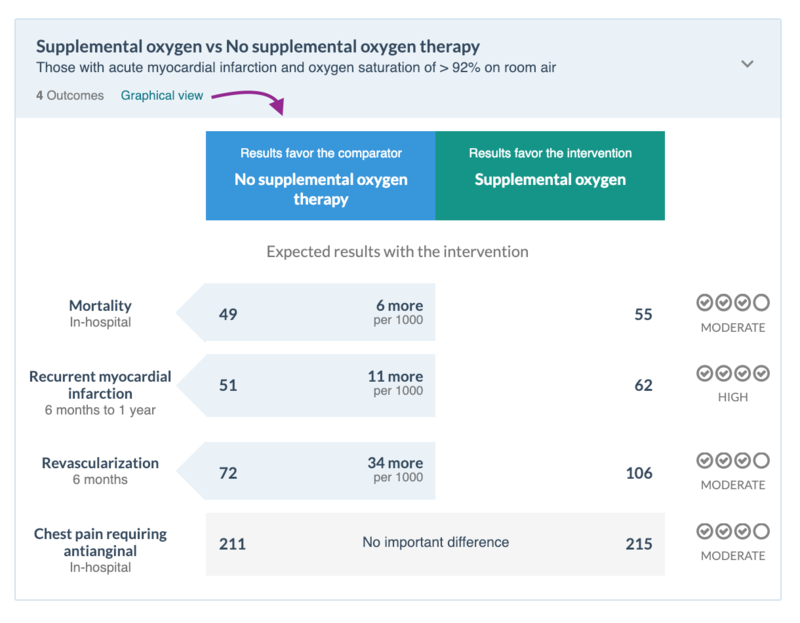 Based on this, we have now implemented a generic model that transforms your Summary of findings table into a graphical interface. The Graphical interface control will only show on PICOs that have set direction in at least one of the outcomes. 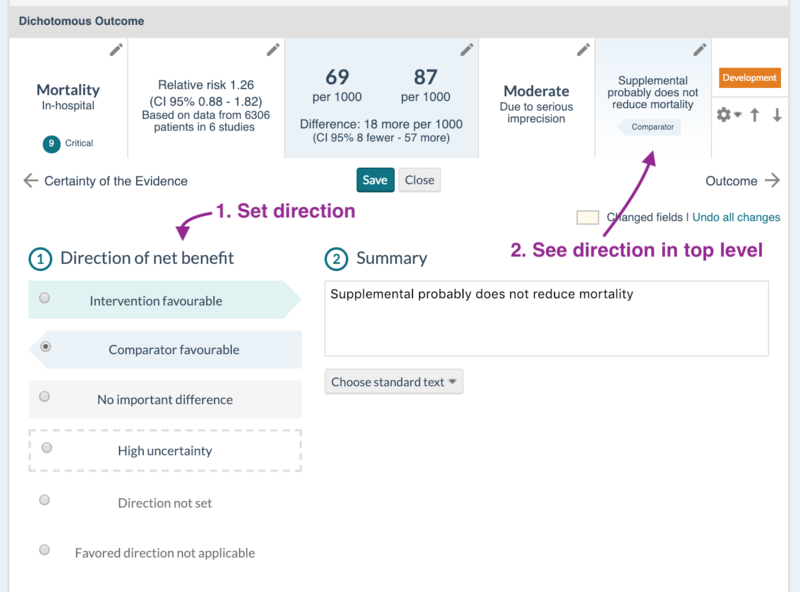 You can now choose to set the direction of effect for all your outcomes. This is done in the Plain language summary column. 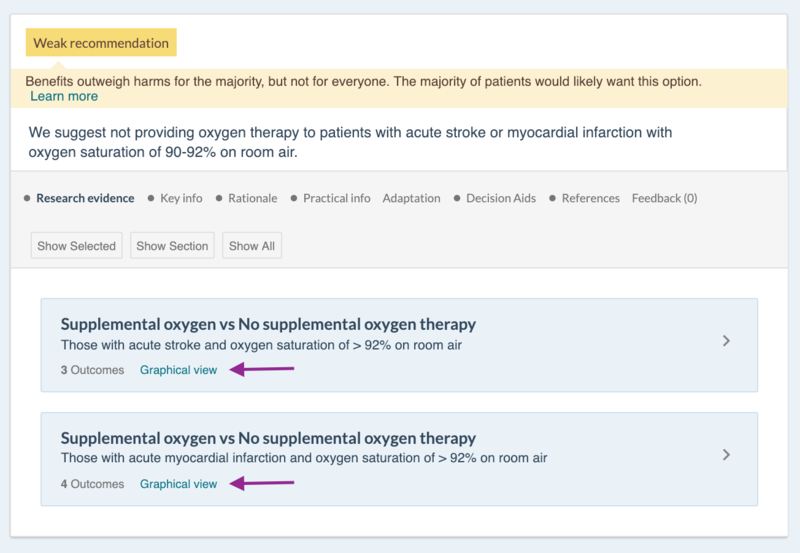 You can use this feature to discuss the consequences of your findings within the team. Setting direction provides the basis for the new Graphical SoF view. 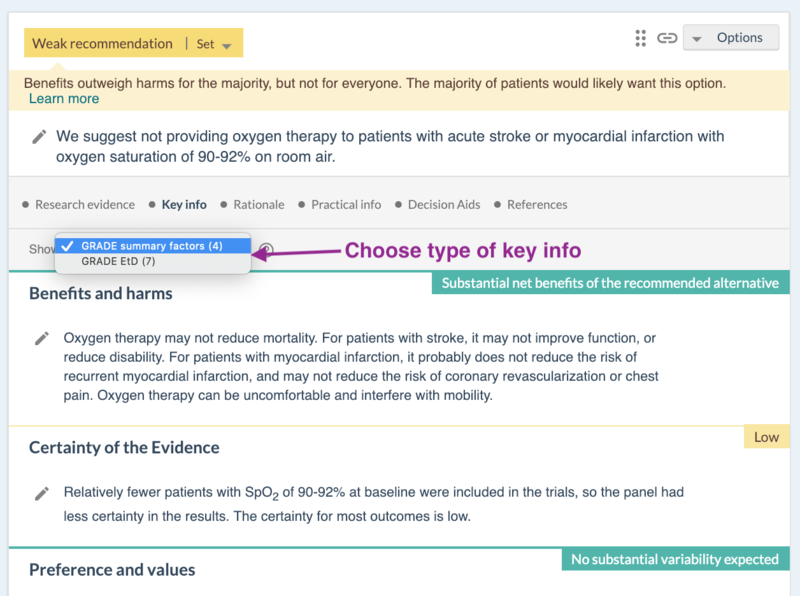 In the Plain language summary column we also added color to the suggested phrases-picker, highlighting which statements that match your certainty of evidence. Currently you can see all places a reference is used by going to the 'Usage' tab of a reference. Now we added a count of the total places it's used, on the top level of the reference. 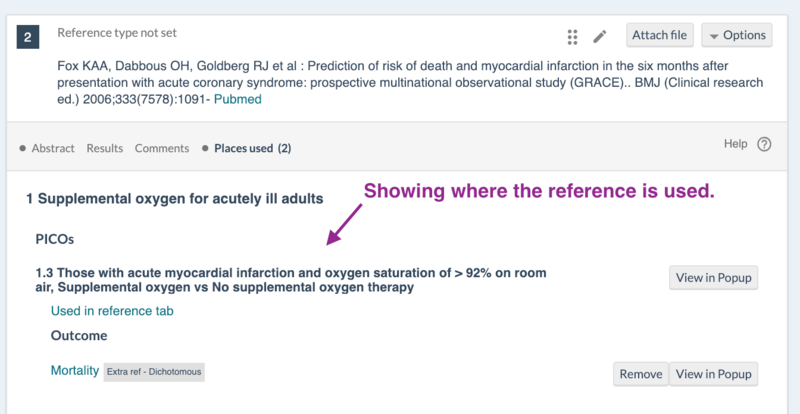 This makes it easier to get an overview over where your references are being used. You can also use this linkage-overview to go to the places the reference is used, or to break the linkage. 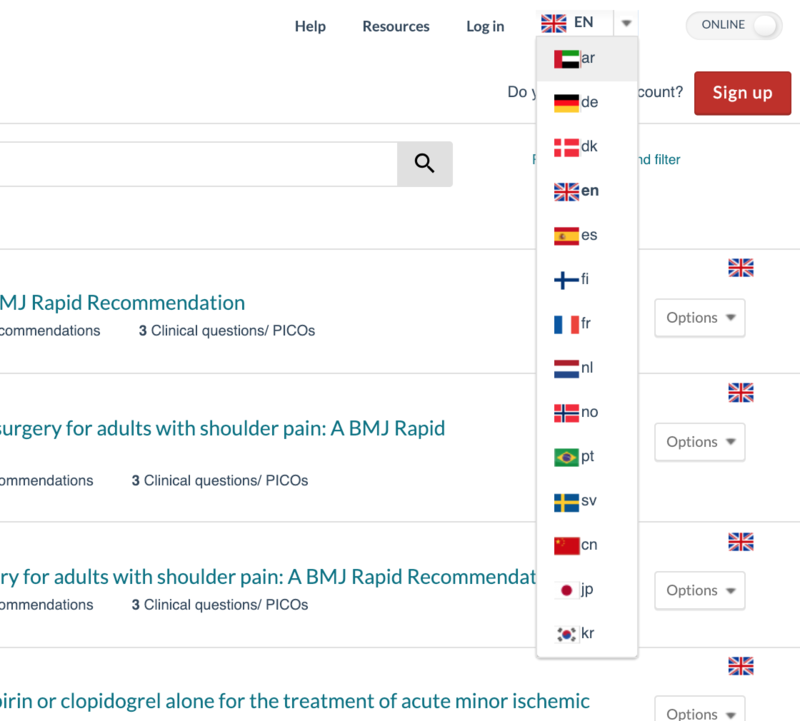 When you add users to the draft of a guideline, they now also automatically get access to the most recent published version. We have seen that many admins have been confused by the difference between adding users to a draft or to a published version, so we have now tried to make that easier. Finally, with the help of good people, you will be able to choose Chinese, Japanese and Korean as your language. 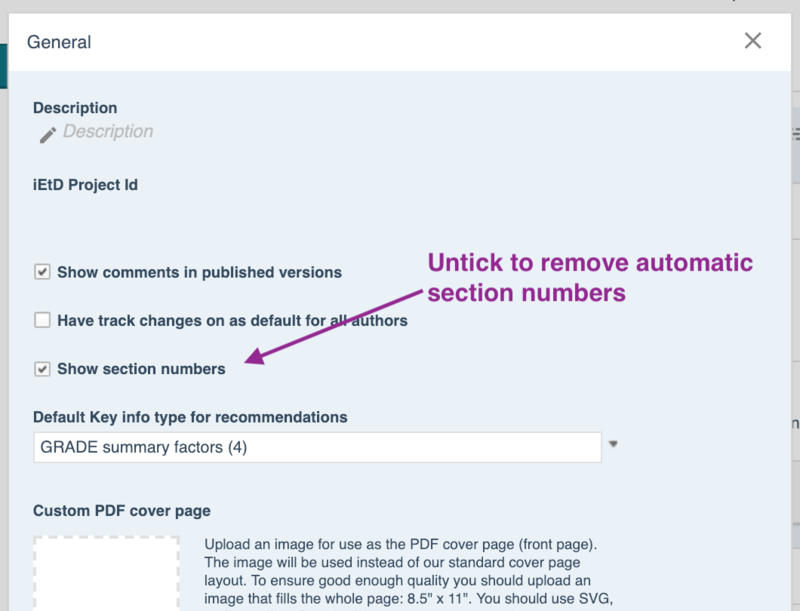 We have seen that in some guidelines authors do not want to use the automatic numbering of sections, but instead want to custom number them. We therefor added a switch in settings, so admins can choose to turn the automatic numbering of sections off.